Leaders across the region express their sadness and condolences for South Africa. Nelson Mandela, the visionary South African former president who led the fight to end apartheid in his country, passed away at 95 yesterday. His death predictably inspired reactions from across the world. The Asia-Pacific region was no different, recalling Mandela’s life with fondness and meditating upon his lessons in political leadership, justice, and equality. The South Asian subcontinent reacted particularly strongly to Nelson Mandela’s death. The Indian government implemented a five-day state of mourning to respect the South African leader’s legacy. Nelson Mandela was the only non-Indian, with the exception of Mother Theresa, to have received the Bharat Ratna award, India’s highest civilian prize. India’s Prime Minister Manmohan Singh and opposition candidate for Prime Minister Narendra Modi both associated Mandela with Mahatma Gandhi. Mandela’s struggle against apartheid featured several South Africans of Indian origin; he later appointed several South African Indians to his cabinet after becoming President in 1994. In China, reactions were similarly emotive. President Xi Jinping said that China would “always remember his contributions to China-South Africa relations and human progress.” China and South Africa established official diplomatic ties in 1998, under Mandela’s government. Chinese media focused much of their coverage on Mandela’s supposed admiration for China. Chinese Central Television ran a bulletin highlighting Mandela’s support for the Chinese communists in the 1940s. A widely reprinted Xinhua article reported that Mandela had an English translation of The Selected Works of Mao Zedong with him in his prison cell on Robben Island. The article quoted Mandela as saying that his “spiritual support” while in prison came from China. Mandela also galvanized China’s dissidents. Sinosphere notes that Gao Xiaoliang found “spiritual encouragement” when imprisoned for his participation in the 1989 pro-democracy protests by recalling Mandela’s example. Other dissidents in China found inspiration in Mandela as well. Many also noted the irony in China praising Nelson Mandela’s courage while also keeping its own Nobel Prize-winning human rights activist, Liu Xiaobo, in prison. Meanwhile, Taiwan’s government also expressed their official condolences. According to a statement by the Ministry of Foreign Affairs, Taiwan’s government “deeply admired” Mandela “for his remarkable lifelong contributions to the promotion of freedom, democracy, justice, human rights and reconciliation.” Just like Beijing, Taipei claimed its own special connection to Mandela. Mandela visited Taiwan in1993, where he received the Order of Brilliant Star with Special Grand Cordon, Taiwan’s highest honor for a foreign national. The reports also noted, however, that it was under Mandela’s leadership that South Africa cut off diplomatic ties with Taiwan in favor of the PRC. Southeast Asian states mourned Mandela as well. Indonesian Foreign Minister Marty Natalegawa conveyed his condolences calling Mandela a “a towering figure against the heinous policy of apartheid whose struggles served as a rallying call the world over against racialism, colonialism and other forms of injustice.” Additionally, Indonesian fondly remembered Mandela’s preference for its batik shirts, which he wore during public appearances. Malaysian Prime Minister Najib Tun Razak said “”Mandela lives on in the spirit of every human that believes in democracy and freedom.” Similar reactions followed in Thailand, the Philippines, Singapore, and Vietnam. During his life as a political activist and as South Africa’s president, Nelson Mandela regularly maintained close ties with several Asian states and maintained close relationships with several Asian leaders. In his bid to gather support for the anti-apartheid movement, he traveled to the Asia-Pacific in the early 1990s to seek support from India, Indonesia, Japan, Australia and Malaysia. In 1998, he was appointed Secretary-General for the Non-Aligned Movement and further boosted his profile among Asia’s developing countries. He faced controversy for his somewhat close relationship with Suharto’s government in Indonesia, which was responsible for human rights abuses. He was additionally somewhat criticized for calling upon India and Pakistan to negotiate an end to their territorial dispute over Kashmir. 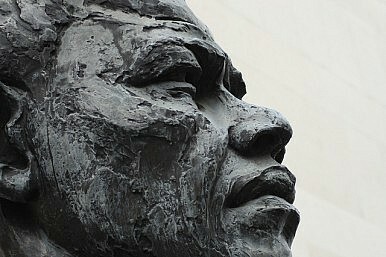 Regardless of his political legacy as South Africa’s president, Mandela’s legacy as a moral figure clearly endures in the Asia-Pacific region, where he remains a symbol for justice and conviction in the face of seemingly insurmountable odds. Some may want to merge IBSA and BRICS. India, Brazil, and South Africa should resist.